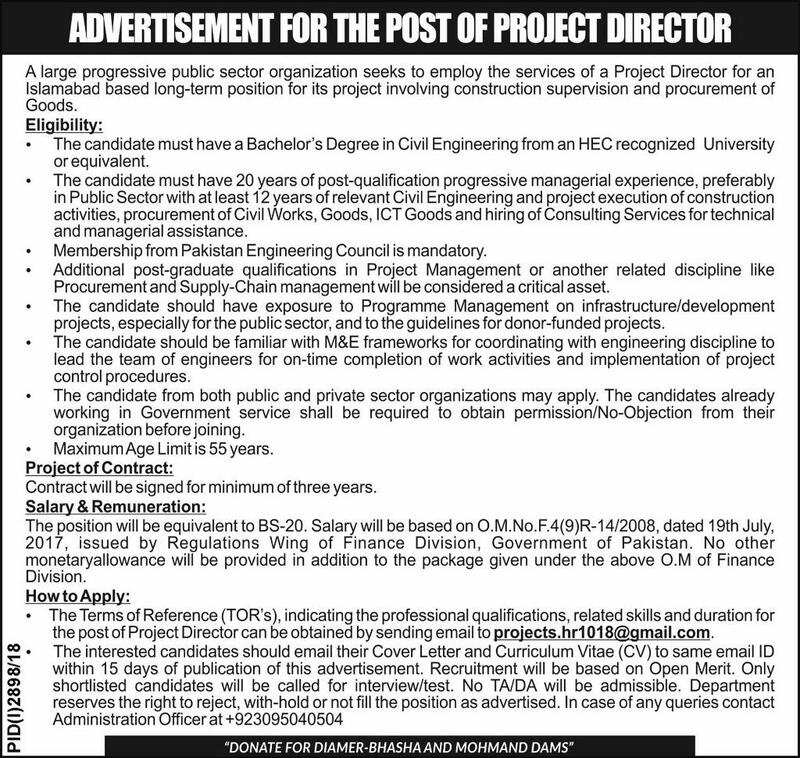 Below are the complete details of the Project Director jobs in Public Sector Organization in Islamabad. Skills Required for Job: Skills:- Listening, Speaking and writing & Analytical and Problem solving skill. eadership is the current buzzword in the project management industry, and with good reason: If you can lead, you can deliver. Team management. Negotiation. Personal organization. Qualification: Qualification:- Bachelors degree in civil engineering 20 years of work experience in a similar administrative support role. last date for submission of application is 12nd Jan 2019. 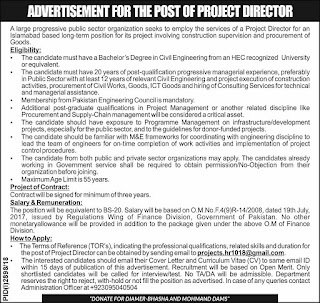 Project Director jobs in Public Sector Organization Islamabad, in Pakistan published on Paperpk.com from newspaper on December 29,2018. Job seekers who are already working as Deputy Project Director , Project Director , Senior Project Director , Project Director Civil , Director can also apply for post of Project Director.